In the months following the 14-year anniversary of Atlas Edge (February, 2004), we've decided to begin distributing documentation of our corporate history. Atlas Edge, LLC wouldn't be a company without a name! After numerous iterations the Capital was dropped and the Edge was added. Before this Greg and Trevor had developed a tremendous friendship and planted the seeds of an entrepreneurial partnership. 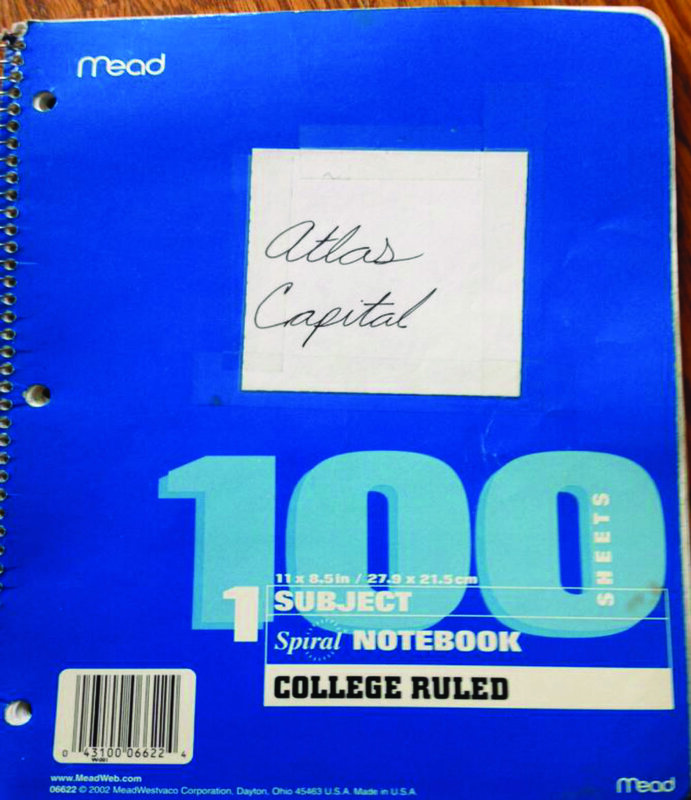 The relationship was formed in the Penn State trading room, enhanced during the summer of 2003 in New York City, then culminated in the launch of Atlas Edge, LLC less than two months after this notebook was created.